This unique houseplant is native to eastern Africa, from southern Kenya to northeastern South Africa. Their shiny waxy foliage adds beautiful texture to any home. 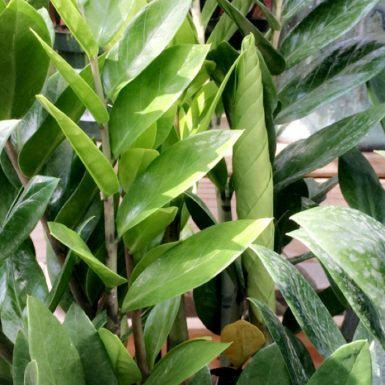 They are one of the best air purifying houseplants. You can see these frequently in the insect house at the Cincinnati Zoo! Holds water in the leaves, so setting a watering schedule is best. Do not over water. Can tolerate low light, a great office plant. © 2019 White Oak Gardens. All Rights Reserved.